The ancient masters of Tai Chi Chuan (Taijiquan) believed that health and self empowerment were dependent upon one's Life Force Energy. They found that meditation proved to be one of the most effective and concise ways to develop internal energy. 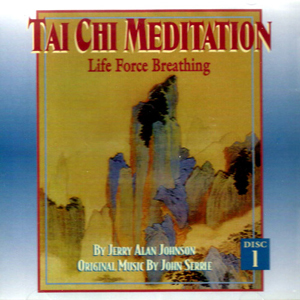 They created the Life Force Breathing meditation, which is designed to mentally touch and energize every cell of the body. This meditation begins by liberating the body of energy obstructions that cause stagnation in the tissues and channels (meridians). The body is then reconstructed energetically, thereby cleansing and rejuvenating the viscera, circulatory, digestive, respiratory, nervous, muscular, and reproductive systems of the body. Finally, the Wei Qi (body's protective energy) is expanded and strengthened. The ancient masters of Tai Chi Chuan (Taijiquan) discovered that powerful meditations were required to enhance and deepen their training. The Eight Direction Perception meditation was cultivated on the Wudang Mountains in Ancient China. This esoteric training allowed the Daoist Monks to expand their perceptual awareness and increase their psychic ability. Through the complexities of modern society, many of us have numbed our abilities to feel our emotions, internal energies and the subtle powers and intentions that permeate our existence. This meditation releases the trapped emotional memory and stagnant energy lodged in the tissues of the body that inhibit our sensory functioning. The later part of the meditation is devoted to stimulating and balancing the right and left hemispheres of the brain. This will unleash new found levels of intuition and creativity.